Focsle Music débutants from the eastern seaboard of the USA, Aidan Quinn and Christine Stay are FRICTION FARM, “a modern folk duo of singer-songwriters with thought-provoking, socially-conscious and humorous songs… … inspiration ranging from books to poignant observations on people and nature” [from their own blurb]. 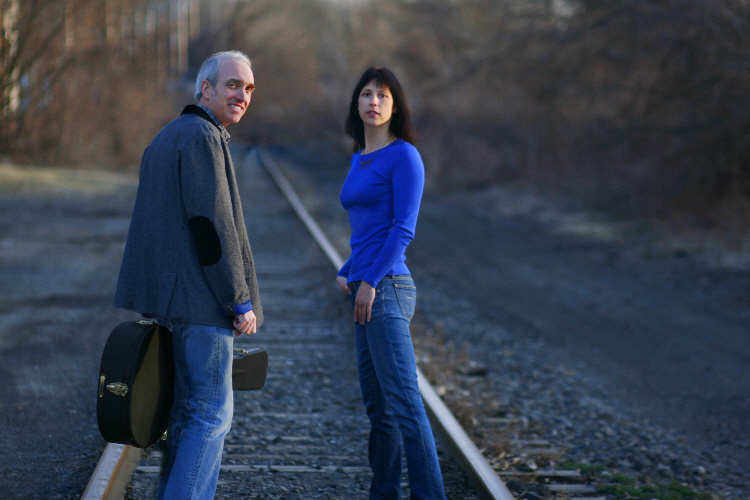 Playing acoustic bass, guitar and harmonica, and with spine-tingling duo harmony vocals, they create a great engagement with their audiences. Five CDs to their credit. Interesting lyrics, in our opinion, with an unusual clarity of sound. Gate price £7, but not on Pass-the-Hat basis this time. Buy a raffle ticket for the chance of winning an alcohol (and, usually, a confectionery) prize, plus [maybe] fresh produce from John Palmer’s allotment.